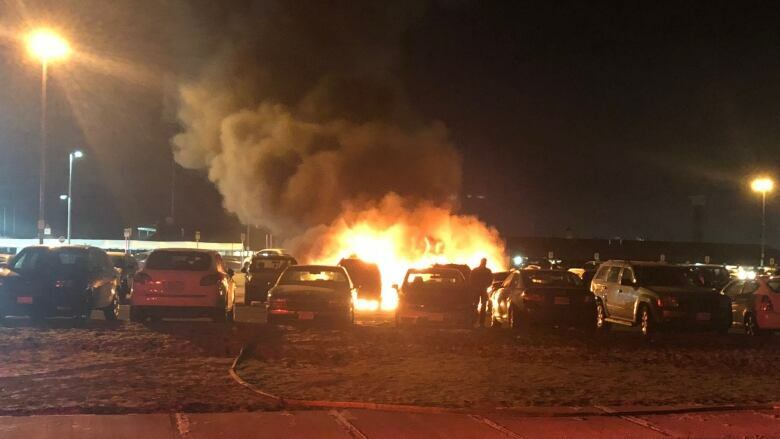 Fire investigators are looking into the possibility of arson after a blaze consumed multiple vehicles at Woodbine Racetrack overnight. Fire investigators are looking into the possibility of arson after a blaze consumed multiple vehicles at Woodbine Racetrack in Etobicoke overnight. Emergency crews were called to the track's parking lot at 12:05 a.m. on Friday for reports that a small Honda sedan was burning, according to Toronto Fire. The blaze quickly spread to six other vehicles before firefighters were able to extinguish it. A fire investigation team has been requested to attend the scene and examine whether the fire was started intentionally.